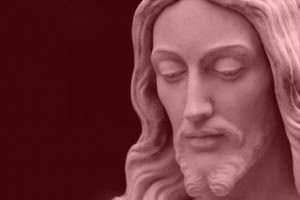 ShBlog: Why Believe in Jesus? Reprinted from an article by Jim Barranger in Extant Magazine. How do you know that the whole Jesus event actually happened? Historical criticism of the events in the Bible is a field thousands of years old, and so far even the most skeptical of scholars have come up with no reason – short of an unfounded presuppositional rejection of the supernatural – to doubt what it says. The more people study the history of the Bible, the more they find that the things written by the Bible actually happened when the Bible said they happened. In short, the Bible has established (and continues to establish) a pattern of credibility. It is a historically credible source. You shouldn’t follow Horus or Osiris because they were invented by people. They are myths in the purest sense of the world: beliefs held with no support whatsoever. There is no empirical evidence suggesting that they are, or were ever, real. I would not, and God would not, ask you to believe in anything that was not supported by empirical evidence. Jesus, on the other hand, appeared at a time in history to a people (Jews) very fond of historical records, when they were ruled by people speaking a language (Greek) spoken by virtually the entire known world at the time. The life and deeds of Jesus were recorded at length by numerous people, in accordance with prophecies given hundreds of years beforehand. We know these prophecies were not invented after the fact by Christians because they still exist in the Hebrew Bible today. Christ’s miracles were witnessed by tens of thousands of people during his lifetime; his crucifixion by dozens (a lot fewer people, to be sure, but I wouldn’t have wanted to see it either), his dead body by several, and his resurrection by more than 500. There is no lack of evidence to suggest that Christ is who he said he is, did what he said he did, and should be worshiped just as he claims he deserves worship. This is why you should not follow, for example, Egyptian polytheism. It is also why you should not follow Islam or Hinduism, as they are simply philosophies created by men, not proven historical facts. If Christianity were merely the moral teachings of a man named Jesus, I would have no reason why you should listen. Because it is truth based in fact, behind which is a gigantic amount of evidence, belief is the only logical conclusion to anyone who has done a rudimentary amount of research into the matter. The apostle Paul appealed to this himself in one of his letters to the Corinthian church: “You doubt that he raised from the dead? More than 500 people saw him after his resurrection – go ask one of them!” He expected that people would subject the beliefs of Christianity to scientific rigor and be satisfied. “But wait,” you object, “I have never seen evidence of God.” However, you believe in a great many things that you have never seen. You’ve never seen DNA, or Pluto, or the supermassive black hole at the center of the galaxy, or love (only its effects), or, say, Mount Everest. Yet you believe in these things anyway because there are people whose job it was to verify them, and those people did verify them, and you take it on those people’s authority. I take Christianity for the same reason: the people whose job it was to verify it, who (as 11 of Jesus’ 12 apostles) were put to terrible deaths for refusing to deny it, have verified it to my satisfaction. Admittedly, I came to Christ (as most people do) primarily for emotional reasons, and this is what Jesus intended. “Come to me, all you who are weary and heavily-burdened, and I will give you rest.” All this knowledge about historical truth came after the fact. Yet even my emotional reasons are based in fact. The Bible says that a person who is living on his own, without God’s guidance, will have a life that looks a certain way – and my life did. The Bible further says that once a person accepts Christ, his life will change – and mine did, exactly as the Bible (although I had not read it at the time) said it would. My own life experience further validates the truth of the Bible; I have tested its hypotheses about life and human nature, and found them to be in accordance with the reality of things. We live in a very curious age, a world in which people believe that if something cannot be proven then it cannot be true. That idea itself is false, and I explained why in a recent blog. But as long as people hold to it, then we should be ready with our answers, showing that Christianity can (to a reasonable man’s satisfaction) be proven. I say a reasonable man because there are and always will be people who illogically reject the idea of the supernatural, or simply do not want to experience the total change in worldview that would result if an almighty God did exist and did want a relationship with them. No matter; the evidence is out there, and it will by rejected or accepted by whom it will and by whom God gives understanding to perceive it. Hi Larry, can you point me to some of these contemporary historical writings that corroborate the miracles performed by Jesus? There are plenty of historical writings about the miracles performed by Jesus, of course -- we know these by the name of the Gospels, and other canonical books of the New Testament which refer to Christ's miracles. Extra-biblical contemporary sources referring to Christ I believe are limited to the writings of Josephus. Your use of the word "these" makes it sound as if you are asking about something in Jim's article, but I'm not sure what that is, if so. Larry, of course I was referring to the article you posted written by Jim. I had assumed that because you posted it you were in complete agreement with it, if I am wrong then I misunderstood your position. Sorry. The article makes some bold statements about how the bible is viewed as being historically accurate and that the only people who discredit the bible are doing so because they do not want to believe in the supernatural. That it was written during a time when the people were fond of historical records and that his miracles were witnessed by many people. So I was hoping that you could show me these historical records. And yes by contemporary I mean written by people who actually witnessed the events. I am sure that something as horrible as Herod ordering the killing of all the male children 2 years and younger in Bethlehem as described in Matthew 2:16 would have been well documented by historians. Or how the dead rose and walked among the living as described in Matthew 27:52-53 would surely have been written about by these historians. I have previously address the claim that Josephus wrote about Jesus in an email exchange to one of our other friends, here is what I wrote; In researching the biblical claims there is no reliable claims of authenticity. The one non biblical account of Jesus resurrection comes from Josephus and it is clearly a statement of faith not an historical account. I say this for several reasons. 1) Josephus was a Jewish historian who wrote large amount of texts on nearly every subject that he wrote about, in other words he was very thorough. 2) The text Josephus is supposed to have written about Jesus is only 1 paragraph long and it is clearly a statement of faith and not an historical account. 3) Josephus remained faithful to the Jewish faith until he died never converting to Christianity. So obviously this was a later insertion by a Christian historian to try and convince people of non biblical authenticity. Now just because a novel uses historical events does not mean that all of the characters in the book are real, you should know this. Even your own bible scholars agree that the first gospel, Mark, was written at least 50 years after the fact so to view this as historically accurate is rather ridiculous. As examples of how the facts can get skewed when written many years after the incidents are supposed to have taken place, or when people just make things up compare, Mathew 20:30 with Mark 10:46 and Luke 18:35. Or Mark 16:1 with John 20:1, Matthew 28:1 and Luke 24:1 and 10. Or Luke 23:45-46 with Matthew 27:50-51 and Mark 15:37-38. Or Matthew 21:19-20 with Mark 11:13-14, 20-21.